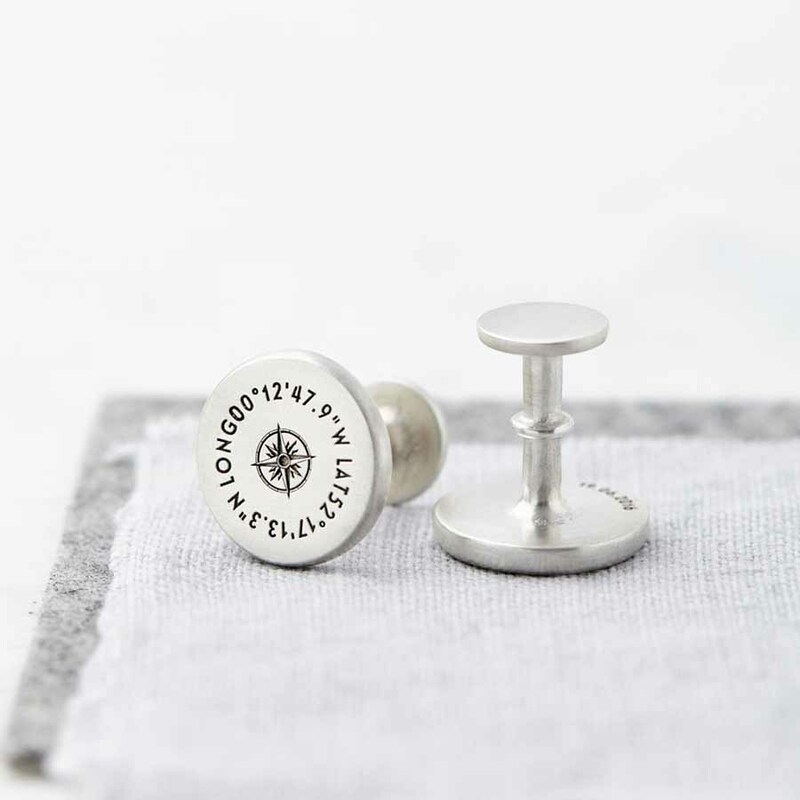 Beautiful, solid sterling silver stud (fixed back) cufflinks featuring the coordinates of your special chosen location (or locations) with a central compass design. 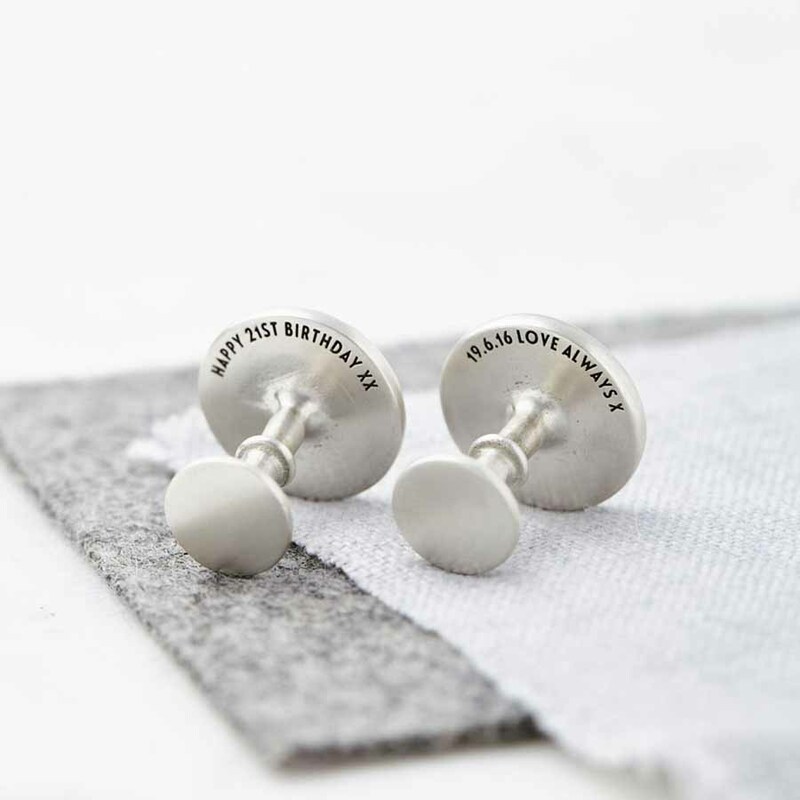 We can engrave a hidden message on the back of the solid Silver coordinate cufflinks – something between just you and the wearer. This could be a special date, or a message from you to them. 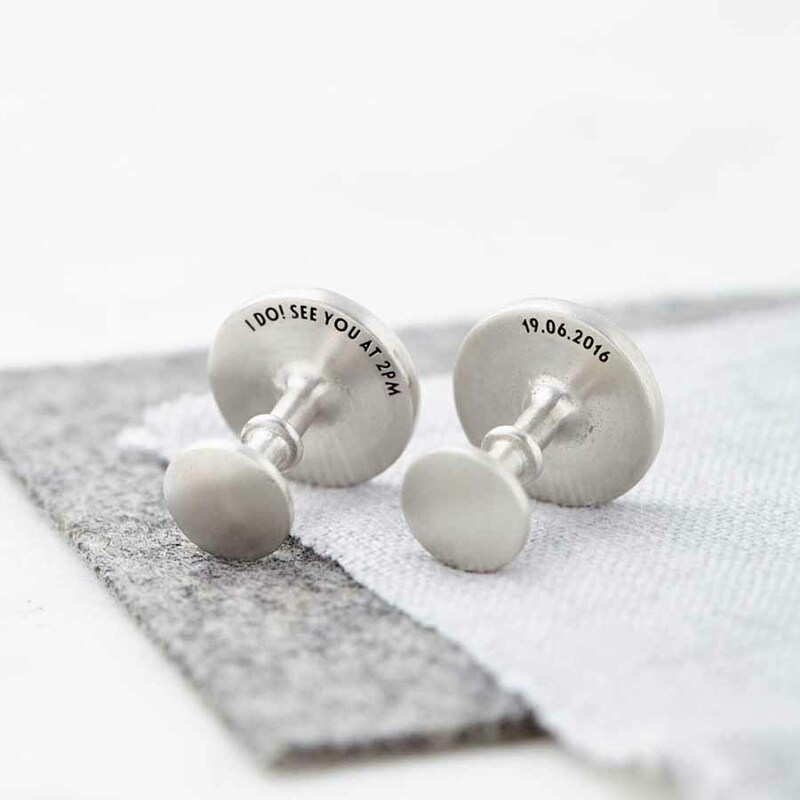 Each cufflink can feature a different location, or we can etch the same locaiton onto both cufflinks. 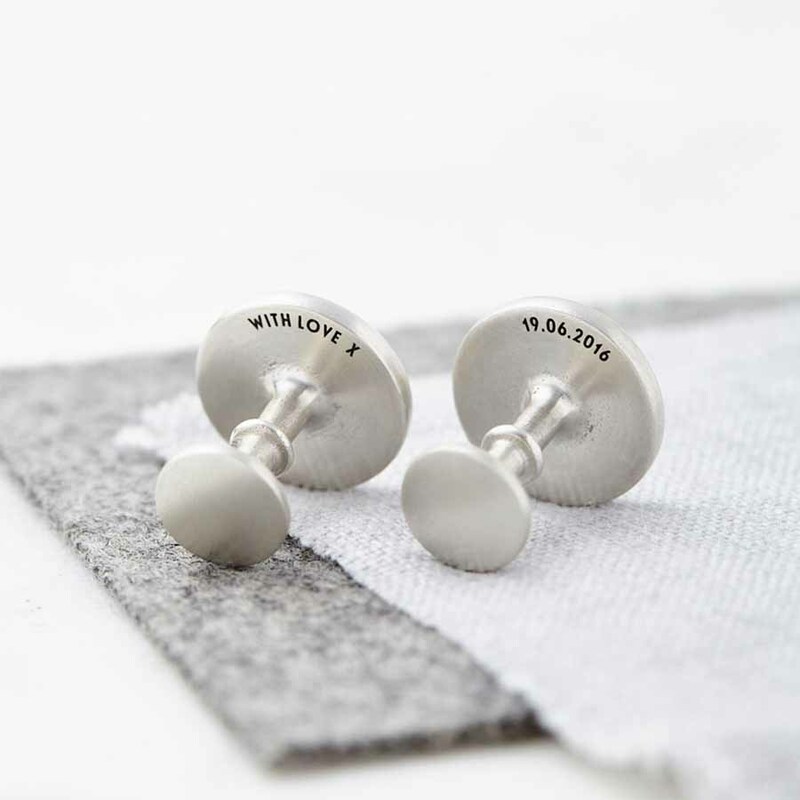 These cufflinks make a perfect gift, they are completely unique to the wearer and will be treasured forever. 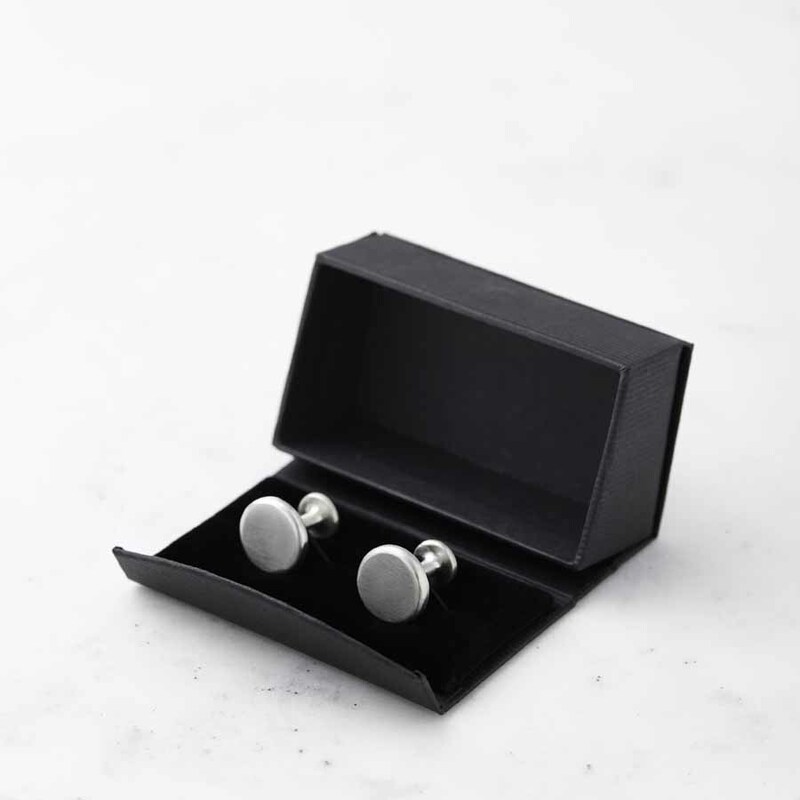 They are beautifully gift wrapped in a Sally Clay Jewellery cufflink box – this service is completely free of charge. We will happily write a gift message and send them directly to the recipient. 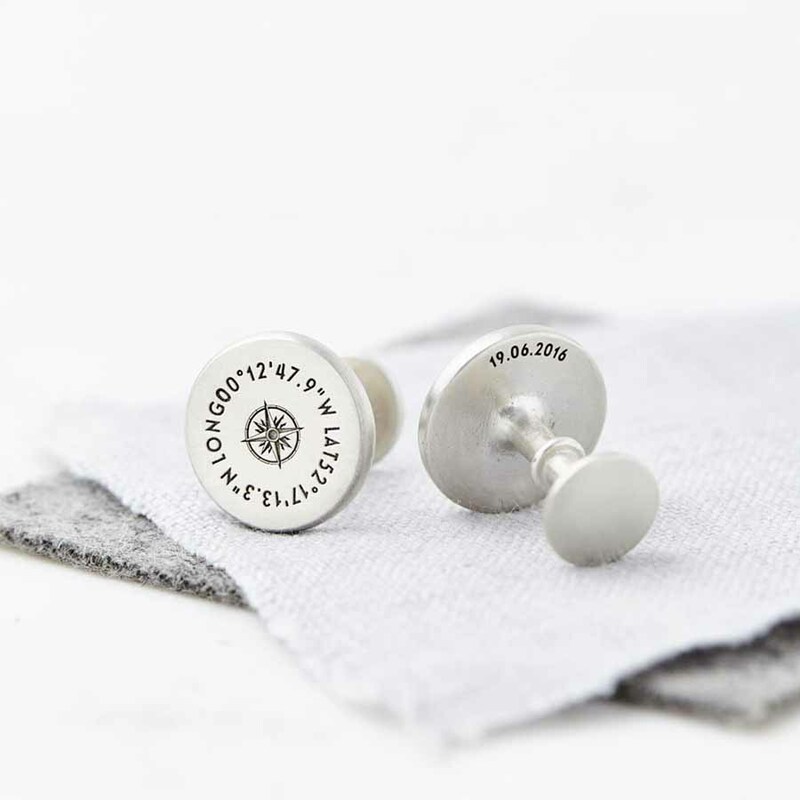 Please note: we may ask you to check the coordinates before we start making the cufflinks – please respond as soon as possible to prevent a delay in the dispatch of your order.